Olivia Lee and Kiara Kovacs. 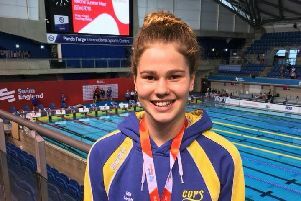 Olivia Lee was the star of the show for City of Peterborough Swimming Club (COPS) when they rounded off their season at the Swim Wales Open Summer Meet in Swansea. The 14 year-old all-rounder returned with an impressive five medals after winning the 400m individual medley and 800m freestyle, finishing second in the 200m individual medley and 400m freestyle and third in the 200m backstroke. Other medal winners were 12 year-old Amy Paget, who took the silver in the 1500m freestyle, and 14 year-old Kiara Kovacs, who won the bronze medal in the 400m freestyle. 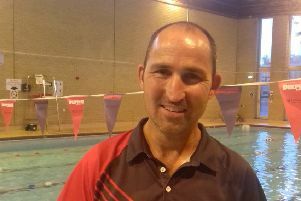 COPS head coach Ben Negus said: “The purpose of attending this meet was to provide an ‘alternative national experience’ for those swimmers that just didn’t quite qualify for the national championships.